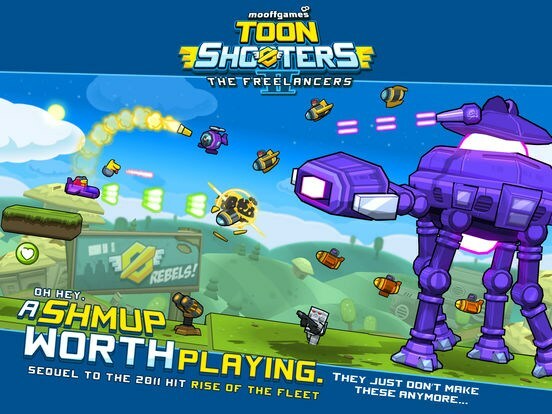 Sequel to the hit game 'Toon Shooters: Rise of the Fleet' featured under 'Best Games You've Never Played' in the US & Canada. 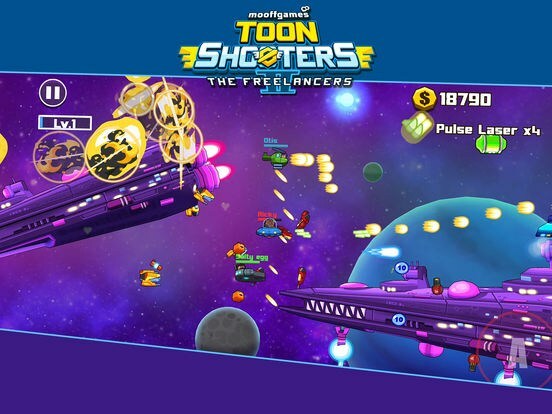 Five years after the fall of the Fleet, the Toons are back in action to wreck threats old and new... it was a massacre, on both sides! 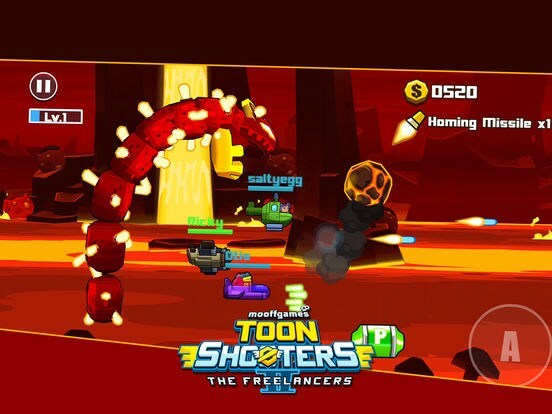 Toon Shooters 2 is an arcade side-scrolling shooter 'shmup' inspired by the long lost classics of Gradius/R-Type/Salamander and more... Up to 4 Co-Op play available), different characters with various roles and abilities. The coming 2.0 Content Update: Is going to include a 5-stage mini campaign and if anyone has a request for a new character... fire away, up for suggestions. Players who have upgraded to Premium will automatically get the new character. The first campaign launches with 10 stages of various puzzles and ridiculous bosses. 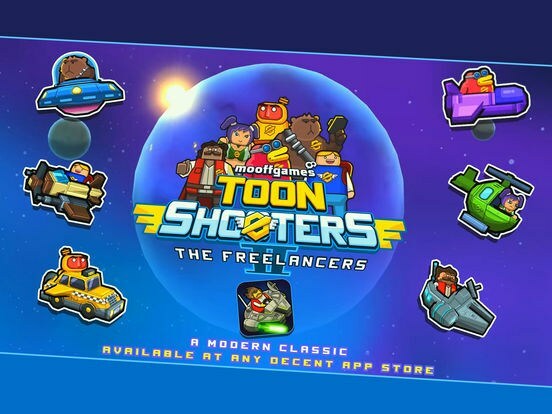 With inspiration from games like 1942, 1943, Gradius, Area88, Salamander/Lifeforce, Contra, R-Type and more... we hope to create a refreshing game world in 'Toon Shooters' for many years to come. We're a small group of four indie game makers who are quite frankly, chasing a dream... a dream to make a living creating games we love to play and share with others. We grew pretty much across the world and were heavily influenced by Japanese and American games in the 80s & early 90s. 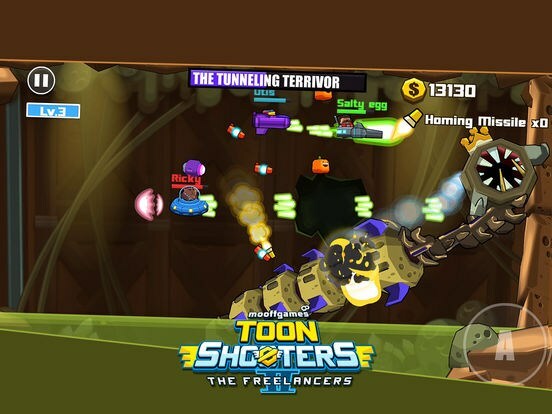 Our games are an expression of who we are and we hope to share a little bit of that with you.